September 26th in Plugin Lists, Wordpress Plugins by Wordpress Jedi . PushUp Notifications: lets you deliver push notifications to your readers about new content on their Mac. It has a pay as you grow plan. Push Monkey: another plugin that lets you send Safari push notifications to your loyal readers. You can easily control for what type of content to send out notifications. Roost Web Push: lets you send notifications to your visitors with information about new posts. It supports Chrome and Safari. 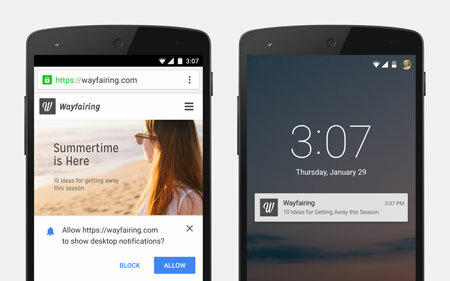 Web Push Notifications: this plugin supports Chrome and Safari too. Lets you send info about new posts, deals, and other important events to your readers’ desktop browser. Have you had success with any of these plugins? We would love to know your story, so please share here.